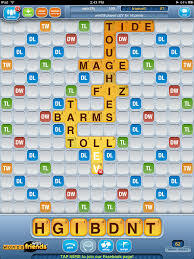 I’ve been playing “Words with Friends”. I really like the game, but it wasn’t until today that I realized I don’t always enjoy it because I’m so focused on winning. That has to change. But what’s the point of playing if it can’t also be fun? So today I’m choosing to have fun. It’s o.k. if I lose. I’m learning lots of new words, words I’ll probably never use. And I at least have the honor of beating my husband which is a rarity. It’s a rarity for everyone. I feel so cerebral now. I’ve never connected depression with competition but I think there just might be one. When we can’t “play” because we have to win, we set ourselves up for anger and anxiety. We spiral down to, “I’m not smart. I’m not good at anything. I’m a loser”. Then we can easily go from there to a sustained low mood. Having fun is a good antidote to depression. It’s hard to have fun when we have to win. I’m playing against some tough opponents today. (I hope they’re not twelve years old!) I might lose and if I do I’m going to try and convince myself it’s only a game and who would know anyway. Anyway, how are you at losing? Does it throw you into a tailspin? Does it cause you to think of yourself as a ‘loser”? We’re all going to lose something, or someone. Maybe if we learn to handle loss we will better appreciate what we still have.